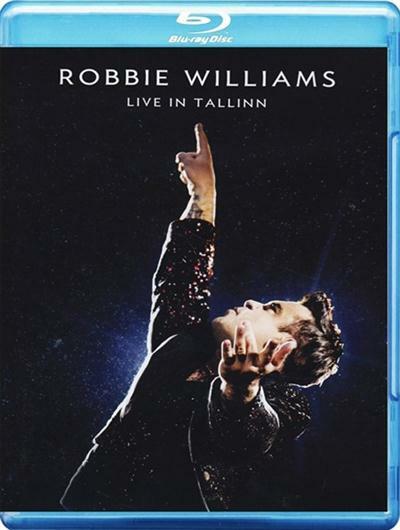 "Robbie Williams' ‘Live In Tallinn' DVD and Blu-ray release, recorded during the 2013 ‘Take The Crown' tour on which he thrilled a total of 1.5 million admirers, reasserts his position as the master showman and perhaps the greatest live entertainer of his generation. * His performance on Independence Day in Estonia for 70,000 adoring fans saw Robbie give a typically blistering performance of the hits and favourites that have helped form the soundtrack of pop music over the last two decades and more. ‘Let Me Entertain You,' ‘Strong,' ‘Millennium,' ‘Feel,' ‘She's the One,' ‘Angels,' the list is long. * The new release gives us the perfect opportunity to reminisce about some of Williams' great performances of the past - and to look at exactly how he has become the stage virtuoso we know and love. It's a story that begins almost a quarter of a century ago in a club with very few people in it..."